For those living near Wild Horse Pass, or off the 202-loop, discovering roof damage is never a welcome sight. While most roofs in Chandler are designed to last dozens of years, eventually frequent exposure to triple-digit temperatures, heavy monsoon rain, and those unexpected haboobs can take its toll. If you’re in a situation where you need to have a roof replacement completed, relying on a professional roofing company in Chandler with the experience, professionalism, and proven results of completing roofing projects on time and within budget simply makes life easier. For these reasons and more, Chandler home owners and property managers have trusted AZ Roofing Works for all of their roof replacement needs. 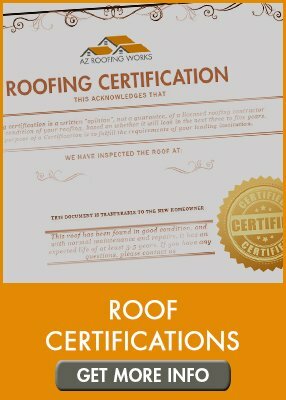 For several years, AZ Roofing Works has served Chandler home owners, real estate agents, property managers and more with high-quality roof repair and replacement services. Our team of licensed, insured, and bonded roofing experts focus on quality with every interaction, always act in a professional manner, and complete detailed clean up when we are finished. Although it’s the most popular and longest lasting roof in Chandler, eventually tile roofing will require replacement. Unexpected situations such as damage to roofs caused by thunderstorms, downed power lines, trees and more can increase the need for expedited roof repair. AZ Roofing Works has the experience and resources to secure multiple material types of tiles that can be used during roof construction such as clay, concrete, metal, composite, or Spanish style. We can even mix and match materials to suit your individual taste or HOA compliance. 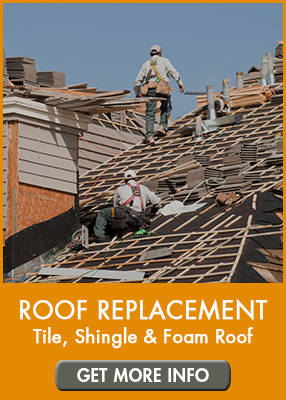 AZ Roofing Works also offers shingle roof replacement for home owners in Chandler. Shingle roofing material is much different than tile, but is installed in a similar, overlapping pattern. Although it might appear simple to install the materials, shingle roof replacement involves much more than simply replacing shingles. AZ Roofing Works completes shingle roofing replacement on multiple shingle materials including asphalt shingles and polymer shingles. There are several types of flat roofing materials including foam, BUR (built-up roof), PVC, and modified bitumen. These flat roofs are quite popular throughout Chandler and are sometimes installed along with pitched roofs. While they are designed with similar pitch and angles, each type of flat roof is unique – and requires a special process for replacement. 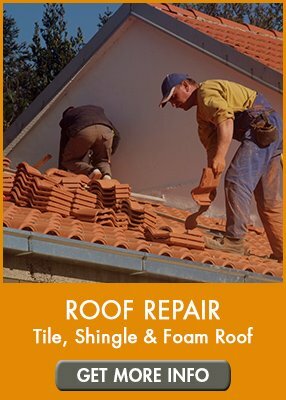 Regardless of the type of flat or foam roof you have – AZ Roofing Works has the experience to complete your flat roof replacement project.